The next Home and School meeting will take place on February 5th in the library at 6pm. February 4-8th, is Staff Appreciation Week. We have the most dedicated, caring, professional teachers, secretaries, aides, supervisors, daycare staff, and caretakers around. We are extremely fortunate to have these wonderful people in our children’s lives and this week is a great opportunity to say thanks…a note or card, a drawing or letter….just a little something to say how much they are appreciated goes a very long way. Items remaining in our lost and found will be collected and donated before the break. Please feel free to stop by and have a look for any lost items. 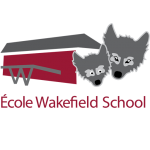 The Wakefield Elementary Home and School Association would like to thank all the parents who came with their children to the Family Movie Night fundraiser on Friday. With your support we raised $605.00 for the school. We know that there were issues with the quality of the display and the sound. We will try to find solutions to these issues before planning a similar event in the future. We thank you again for your support. Our monthly assembly will be held on December 21st- Our Spirit day theme will be “ugly holiday sweaters”! Our Annual Holiday Sale will be on December 20th. Please see attached flyer for details. Classes will be caroling the week of December 17th. Parents are invited to join in on December 21st. More details will follow.